In the past life regression technique by Dolores Cannon, a person goes into a Theta brainwave state. This is the slower brainwave frequency of the Subconscious Mind. In this technique, a person's conscious mind is subdued, like when you are in a dream state. It is also possible for a deeper or higher level to emerge, depending on how you look at it. This is the soul level, or what some call the Higher Self. The higher Self that exists between lifetimes, and is always present as a layer of existence, can be invoked by the past life regression therapist. The therapist can then address the higher Self and ask questions, or interact with it. As I'm a certified therapist from the Dolores Cannon institute I lead past life regression sessions for people. In one of the sessions, after processing a couple of lifetimes, I asked, "Where are you now? What's happening"
The person said, "I am the sun, I am the river, I am the tree, I am the flower, ..."
I realized this was a state of Oneness. The person then went through a spiral (perhaps a wormhole) and was in a vast nothingness, void, and expanse. When I realized that this person has now transcended, I started addressing the Higher Self (HS). Me: "What knowledge or message would you like to give for this person's present life, that will help." To my amazement, the reply from this person's Higher Self (HS) was: There is no such thing as life! Me: Then what is this body and mind that we function through which we call life? HS: It is hard to explain. It is like strings. It is endless. Me: What are these strings? Souls? Me: Then what is life? Is it an illusion? HS: They are like reflections of each string. They are real, not an illusion. These strings are very bright. Each one is like a sun. Me: What is reality? What is truth? HS: The truth is that it's endless. Me: What is the purpose of this? Is there a purpose or is it like a painting, without purpose, or is it just happening? HS: There is a purpose. It is hard to say what the purpose is. Me; Where are all these strings? Is there a Oneness of all that is? What are all these strings enclosed in? HS: There is only energy. A vast expanse. After a few more Q&A I asked if the higher Self had anything more to say or should it now recede. 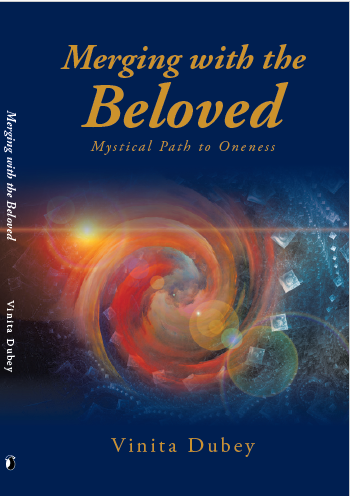 As I started bringing the person back to present and integrating the personality back into the body, the higher Self still seemed to remain while her conscious mind was returning. She said she could feel my presence and tremendous warmth or heat coming from me. I realized that the higher Self was still present as she had extrasensory perception. She later told me that it was as though she was another person and separate from the body and personality. When I took her name it was as though she had to remember that was her. So I proceeded to again thank the Higher Self and requested it to recede and let the personality fully integrate back into the person. When she was fully back as her individual self, she felt very refreshed and wonderful. After the session, it was good to hear that she felt healing from the issue she had, and later when I checked on her she said that she hasn't felt this good in a long time.